Bad Taste Recordings welcomes Manta. 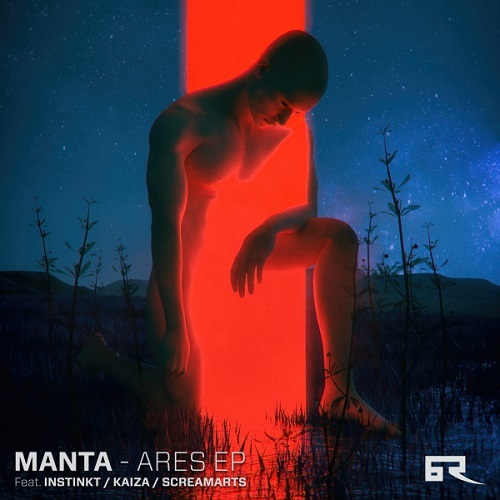 The Ares EP is a collaboration with Instinkt, Kaiza & Screamarts that brings together these four mighty bangers. Get ready for Ares, Megalo, Confusion and Nautilus. Salzburg based drum & bass artist Manta continues to push his personal boundaries with each release he’s using to build a growing reputation. Born from two professional musicians, he has used his early musical background to craft a level of production which reflects throughout every scrupulous track he’s released. And after becoming inspired by the world of drum & bass, he turned his hand to being both a creator and DJ, releasing his first ‘No One’ EP in 2015 which saw his rise to notoriety. Spinning behind the decks at Salzburg’s Breakfast-Crew parties, the city became a platform for him to test out every track he’d spent time engineering in his studio. Following more releases on the likes of Fragmented Recordings and Moshbit Recordings, he’s risen to dizzying heights in recent years whilst studying to further his skills in Audio-Design in Vienna. This journey has lead him to his ‘Cosmonaut’ EP, being released on T3K Recordings and once again demonstrating his slick engineering.